Enjoy the ultimate of entertainment luxury in your own backyard year-round. 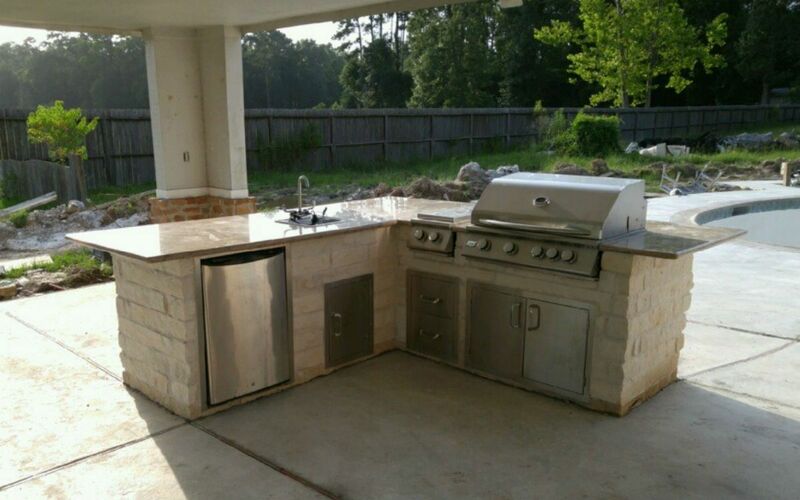 Outdoor kitchen islands Houston TX are custom built to match the existing style of your home. Never miss another moment of your next gathering with all of your grilling and entertaining needs at your fingertips. Your outdoor kitchen island is built to your specifications and can include a built-in grill, mini refrigerator, sink, and storage. Our professionals take great care from planning phases to completion to ensure our customers are 100% satisfied. We are the premiere outdoor kitchen island Houston TX contractor. The focal point of your outdoor living space could be your new top quality outdoor kitchen space. Houston Outdoor Kitchens will build the outdoor kitchen island of your dreams. Your new space will be a beautiful extension of your home and the envy of your friends and neighbors.